You want to dazzle your students by engaging them with social media in the classroom. You know they love Pinterest, and you really want to integrate it into your lessons. 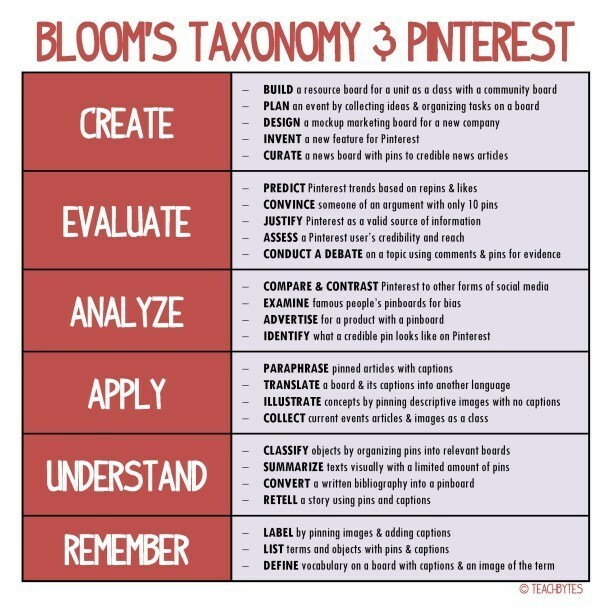 But is it possible to engage students on multiple levels of Bloom’s Taxonomy with Pinterest? Sure it is. This infographic shows you how to promote higher level learning on Bloom’s Taxonomy, using Pinterest. Are you using Pinterest or any other social media in your classroom? Tell us how in the comment section below, and if you love graphics like this one, don’t miss Brilliant or Insane’s infographic library. Buy or Sell Facebook Paper?